Malta is one of the most beautiful archipelagos in the world and is situated just above the northern African coast in the Mediterranean Sea. It is renowned for its rich historical sites which have been contributed by the numerous rulers over these islands. You can visit Malta and witness the wonderful architectural diversity which includes designs by the British, French, Knights of Saint John, Moors, and even the Romans spread all over the main island. If you are planning to visit Malta, then you would surely require a Malta Visa. Learn more about what is involved in applying and processing of a Visa to Malta. Malta is today part of the Schengen region, which consists of 26 countries, mainly in the European mainland. For a person with a passport from a non-Schengen country, it is essential to get a proper Visa before flying in to visit Malta. Indian citizens are required to apply for a Malta Visa beforehand if they have plans to visit the island territory. There are several types of different Visas that a person from a non-Schengen country needs to apply for, and successfully receive, when they wish to travel to, or through, Malta. This is one of the most commonly-issued Visas for non-Schengen country citizens. It allows Visa holders to travel, from, and between Schengen countries, as per the individual number of entries allowed by the consulate. This Visa is valid for the duration of maximum 90 days from the date of being issued. Ensure that you apply for this Visa at least 15-90 days prior to your planned date of departure to Malta. This Visa lets businesspersons travel to, and stay in, Malta for a short duration when they travel for commercial purposes. Commercial activities also include participating in business and industrial conferences hence you will need to apply for this Visa when you wish to travel to Malta with intentions of business. A Schengen tourist Visa is a must for people of non-Schengen countries travelling into Malta. Ensure that you apply for a tourist Malta Visa when you wish to visit the island for leisure activities. To ensure that your trip to the island archipelago is smooth and efficient, make sure to apply for the appropriate Visa (according to the purpose of visit) beforehand. Once you have decided the type of Malta Visa, simply download the Visa application form from any of the sources available widely. The next step is to fill all the fields which are relevant for your Malta Visa application and attach all the required documents. Submit the entire docket, containing your completed Visa application form, along with your photograph and required documents, to any of the nearest Malta Visa Application Centers during business hours. You will have to pay a Visa application fee of around INR 4,800 at the time you submit the Visa application at the Consulate in cash. Carry along your applicable Visa fee complete, in cash when you go to submit the Visa application docket. Once the Visa application is verified, you will be called for a personal interview with a Consulate Officer. At this time, your biometric details will also be taken. It normally takes around 15 business days for a Malta Visa application to be completely processed. Once your Malta Visa Application is completely processed, it will be issued to you, at the Visa Application Center, or couriered to the mailing address specified by you. What Documents Do You Need for Malta Visa? 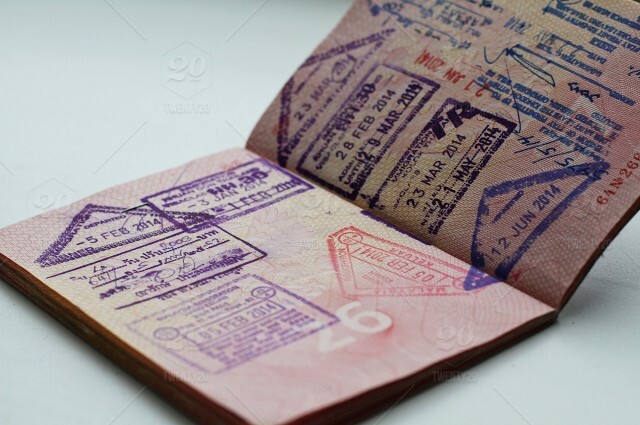 Passport – You will need to attach your current original passport (with validity extending at least 6 months from the date of travel), along with copies of any older passports. Ensure that your current passport has at least 2 (TWO) blank pages in it. Photographs – Attach 2 (TWO) passport-format recently-taken photographs, measuring 35 mm x 45 mm, with your face covering 80% of the photograph and having a paling white background. Itinerary – Attach copies of confirmed flight tickets and hotel booking which shows the details of your travel into Malta and your departure. Travel insurance – Travelling to Schengen countries on a Schengen Visa now requires you to have a travel insurance policy with a cover of at least GBP 30,000. Proof of Subsistence – Attach bank statement showing that you have sufficient funds in your bank account to cover the entirety of your trip in the Schengen region. As mentioned earlier, you can either opt to go to the Consulate personally to collect your Malta Visa once it is issued, or you can have it couriered to a mailing address specified by you in the application form. There are immense advantages when you let travel experts, Thomas Cook, to handle your Visa application procedure. Convenient Online Process: Thomas Cook has a convenient online Visa Application Process. All you have to do is give your basic details, make an online payment and submit your documents. Everything else will be taken care of by us while you sit back and relax! Safe and Secure Visa Processing: With us, you are in completely safe hands during the entire process of getting a Visa. We ensure complete transparency in every Visa application procedure, and other services, to provide reliable and efficient services. Increasingly Efficient: We have immense experience in managing all types of travel and tourism services. This expertise allows us to get your Visa processed in the least time and saves you effort too. Complete Visa Assistance: We provide comprehensive Visa application service, which begins with the collection and organization of your documents, to getting your Visa issued successfully. Is a Personal Interview required even if I am applying for a short-term Schengen Visa? Yes, it is mandatory to appear for a personal interview, on the date and time appointed, at the Consulate/Embassy for your biometrics to be collected. This is especially necessary if your biometrics have not been collected since after November 2, 2015 for the purpose of Schengen Visa application previously. Is Travel Insurance mandatory for getting a Schengen Visa? Yes, a valid travel insurance policy needs to be bought for all applicants, before applying for a Schengen Visa. This helps to cover charges for medical or hospital expenses, while on travel in the Schengen region. The validity of the Visa is shown as 1 year, then why can I only travel for 90 days? The validity period of the Schengen Visa is to show the time before which you can successfully use your Schengen Visa. The period of stay in Schengen country on a Visa is maximum 90 days, anytime before the Visa expires. What is the best time to Travel to Malta for Tourists? The best time to visit Malta is considered to be in March. Although the temperatures drop in the evenings and the water is considerable cold, you can enjoy the island’s sites better before the summer tourist season starts and it gets crowded. To ensure that your travel to Malta, the beautiful Mediterranean island territory is smooth and enjoyable, make sure that you apply for a Schengen Malta Visa with us.